So you have found the perfect venue for your wedding, birthday party, christening or corporate event but you need that extra something to transform a boring looking room into something spectacular. Well we have the answer. Chair Cover hire. Chair Covers will give a dull and outdated chair the ‘wow’ factor while transforming the complete look to any venue in Essex, London and Kent, leaving a lasting impression on your guests. Banqueting chairs quite often can be very uninspiring, yet all of our customers are always amazed at the difference our stretch Lycra chair covers will make. Our Chair Covers are available in White or Ivory and are designed to stretch snugly to any banqueting chair to achieve a perfect fit, unlike other designs that often look too big or too small. An organza bow can be added to enhance the look of the chair even more and will help keep the chair cover in place. Our organza bows are included at no extra cost. We can match them to any colour scheme you are having ensuring that your colour scheme remains in place. Our prices include our experts visiting the venue to deliver the chair covers and fitting them either the day before or on the morning of the event. Our team will visit again to remove them the next day, so you really do not have to worry about anything relating to the chair covers – we will deal with the hassle of the finer details concerning your chairs, leaving you to enjoy your London or Essex based function in style. We realise how important it is to spend time and money elsewhere, but often our clients come to us because they want to focus on every single detail. We do not let you down. Here at Kelly’s Occasions our chair cover hire means that even a very basic venue can be transformed. Take a look at our gallery to see exactly how we transform a normal function room into something special.  We invite you to contact us to discuss your requirements and for our competitive prices that have remained affordable since we first began Kelly’s Occasions.